Your holiday abroad should be a time to try new things. Not just activities, but new foods that you don’t have the time or experience to prepare at home. Take a look at these four luxury holiday destinations, where the food is as exciting as the theme parks, festivals and beach parties. Mexican meals, including tacos and fajitas, are popular choices throughout the UK. Yet until you’ve eaten real Mexican food you’re missing out on the authentic taste. Enchiladas and quesadillas served in Mexican gourmet restaurants are unlike any Mexican food you’ll have experienced before. Alternatively, visit Delhi for vegetarian dishes that are freshly prepared using the finest seasonal ingredients. Many of the most popular luxury hotels in Delhi have gourmet restaurants serving a selection of vegetarian dishes to be enjoyed on every night of your holiday or on special occasions like a wedding anniversary. Texas is known for its BBQ foods, and Dallas is no exception. Dallas steakhouses and smokehouses are perfect for meat-lovers, often with food cooked over open fire pits. You can also book tickets for a rodeo show dinner, with entertainment as you dine. Whilst on holiday in Tokyo, take time to experience some authentic sushi. It’s served all day, with breakfast sushi being available in luxury hotels and in restaurants throughout the city. Sushi is served for lunch, in the evening and late at night, and is also available from street stands to eat on the go. 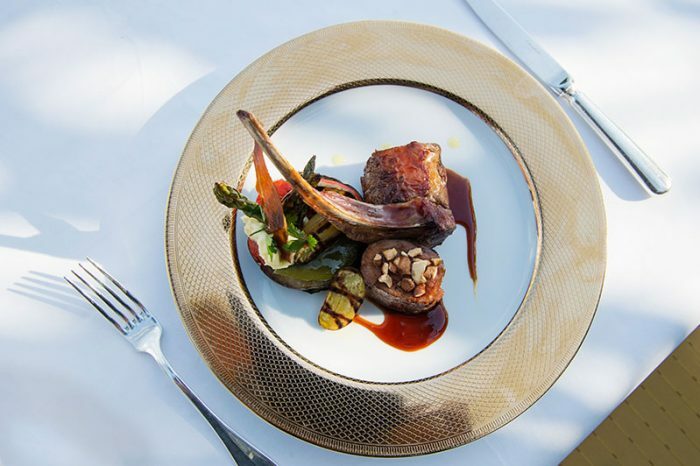 Many of the world’s luxury hotels offer varied menus including foods to try for the first time, and foods to enjoy as they were originally intended.Use your luxury holiday to book a table at a hotel restaurant, and to enjoy dining out with friends, loved ones and members of your family.